Please click on the words below the gears for the desired information. The Veteran Program is fortunate to have many talented and committed people, including veterans that are involved in The Veteran Program. People who are focused on providing the utmost care and information to all of the veterans we are privileged to meet with. The Veteran Program connects Veterans and their spouse to a VA National Cemetery. In conjunction with that, The Veteran Program has researched each community and has selected preferred funeral homes who have agreed to give all eligible Veterans and their spouse a discounted funeral plan for burial or cremation which the National Cemetery does not provide. We are personal representatives that is authorized to help get you from point of death to the funeral service provider to the National Cemetery. This is done with a customized plan for you. The VA encourages you to discuss your burial wishes and arrangements with your family members and an authorized licensed representative so everything goes to plan. The NCA honors Veterans with a final resting place that commemorates their service to our nation. A shrine 24/7. Contact an authorized representative from The Veteran Program for additional details and ask for a Pre -Eligibility form. The VA Eligibility office is the only one who can give the determination of eligibility. Pre-Eligibility is a courtesy program. At present, due to the sheer volume, it’s taken up to 10 months to process the Pre-Eligibility data. The VA encourages you to discuss your burial wishes and arrangements with your family members and authorized representatives. Asher Solutions, Inc.
NGL, a company over 100 years old, holds your funeral funds safe in a secure life insurance “Policy.” You’ll receive a life insurance policy from NGL that represents the amount of your burial funding including your personal policy number. Upon death the policy pays the funeral home who performs services. National Guardian Life Insurance Company is not affiliated with The Guardian Life Insurance Company of America a.k.a. The Guardian or Guardian Life. NGL is not a government sponsored program and is not affiliated with any government agency. The Veteran Program has simplified burial planning. Simplicity is most important. You may ask… What do I do now? Click on Contact Us. Fill out the information form. Sharon or Richard Stangler will contact you. GO Anywhere and be Protected! Coverage that is offered protects when death occurs while traveling 100 miles or more away from home. Provides for preparation and transportation of deceased to originally selected funeral home. World Wide Coverage assure your peace of mind! The Veteran Program will assist you in filling out the Pre-Eligibility form and send to the Pre-Eligibility office in St Louis, MO. The VA Eligibility office is the only one who can give the determination of eligibility. Pre-Eligibility is a courtesy program. At present, due to the sheer volume, it’s taken up to 10 months to process the Pre-Eligibility data. Life Celebrant “Serving All Faiths” for a meaningful funeral service. Richard's funeral services are designed to celebrate a life well lived, honoring with remembrance of the stories and contributions of the passing life. Richard brings comfort, encouragement, and inspiration to those who attend. Every service is catered to the needs of each family. His services provide the deceased family with a very meaningful and significant funeral service experience. Richard customizes every service and tailors to each individual and family . “We have been to many funeral services but this one for our dearest friend Mr. Ponitee has been one of a kind that I’ve never been to before. Richard this has been the best funeral we have ever attended and experienced. Keep up the good work for grieving families. Thank you, Richard for being with our family before, during and after my Dads funeral. And then two years later for my mom’s funeral. You were upbeat and helped to make it what it was. You made everything perfect for our family, just so wonderful. You did a fabulous job! Family, friends including my kids’ said “they enjoyed Richard so much we couldn’t have done without him. Dad and Mom would have loved every moment”. Death is sad you never know… even though I’m not so old… I’m going to plan for myself now when I am young. Death creeps up and in certain moments I feel such a loss. What comfort I had knowing you were there for me and my family and even my friends. My children talk about how you made them a part of everything and the service was perfect! Before Bruce died it was amazing that he asked you to take care of me and the kids by officiating at his service. It was just like Bruce to take care of his funeral and family right up to his death. My friends are still talking about how this was the best funeral service they ever attended. They hoped Richard would be there for them. God bless you as you help other families the way you have helped our family. EZ Burial Documents - Modern customized technology. Our customized burial documents are securely transmitted via secure systems to the client, funeral home and to National Guardian Life Insurance Company (NGL). ET - Excellent Technology - Consumer information, secure solutions with Social Media, Web Technologies which generates requested information, and a tracking system that is securely protected. I want to compliment Sharon Stangler on her continuing efforts to create funeral service documentation that will enable those professional funeral services. She has created information accuracy with professional presentation that is so important when providing potential clients necessary information to help them make a decision they will be comfortable with. Sharon is a true professional herself, who strives to always put her client’s best interest as her number one most important priority. Sharon should be commended for her tireless efforts in trying to streamline our funeral industry documentation. We receive the customized EZ Doc application forms. What a wonderful addition. We appreciate Sharon’s tenacity and value her and her team. Thank you so very much for all your help in transferring our Veteran Program from Florida to New Hampshire. You certainly made our funeral arrangements very easy and sadly close to the time it was needed. Again, I send you a big Thank you! I have great peace knowing The Veteran Program took care of me in the preparation of my final moments. I have known Richard and Sharon for nearly 30 years. They are a unique couple working together in what they do best… “Helping people and meeting their needs.” The Stangler Team has the upmost professionalism and a heart that can’t be matched! They are the most honest people, with integrity that I am proud of to be a part of. In addition, their reputation as National Cemetery authorized representatives is impressive! Sharon assisted me in the new “Pre-Need Eligibility” form. As I sit for my final chemotherapy I reflect on the peace of mind that I have, that when I die my funeral arrangements are taken care of through The Veteran Program. In today’s times I must say I was very skeptical of such purchases, with fraud occurring almost constantly, However, the plan that I purchased has not only secured the current funeral price, but in the event of my death even after a short period of monthly payments, it will cover ALL expenses of my funeral. It is a pleasure to deal with, at last, an honest, and helpful to the extreme representatives. I will whole heartedly recommend you and your company to all my comrades and family. Trust and goodwill doesn’t say enough. Ask about our upcoming FREE Lunch and Learn Seminars with …THE VETERAN PROGRAM Sharon and Richard Stangler are hosting each luncheon. Asher Solutions, January 2019, Free Lunch and learn event. Call 561-870-4441 | 954-263-7443 for a reservation. 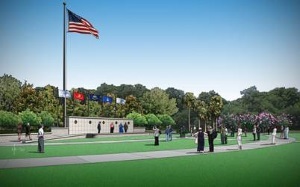 Cape Canaveral National Cemetery began interments on January 12, 2016. The new 318-acre cemetery located in Mims, Florida, will serve the burial needs of more than 163,000 Veterans in the cemetery’s service area for the next 100 years. The cemetery was officially dedicated on November 20, 2015. 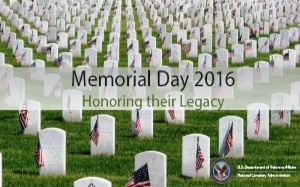 NCA 2017 Memorial Day Ceremonies - Plan on attending a ceremony at your local VA national cemetery for Memorial Day this year. Richard and Sharon Stangler are regularly invited to be speakers and lead discussions. You can be assured Asher Solutions/The Veteran Program will not only fulfill your needs but will also build a priority relationship with you and your family with the highest standard of professionalism. Our promise to you is, to strive for excellence in all that we do, easing the burial process, and always be there for you and your family. We will earn your trust that you can count on.